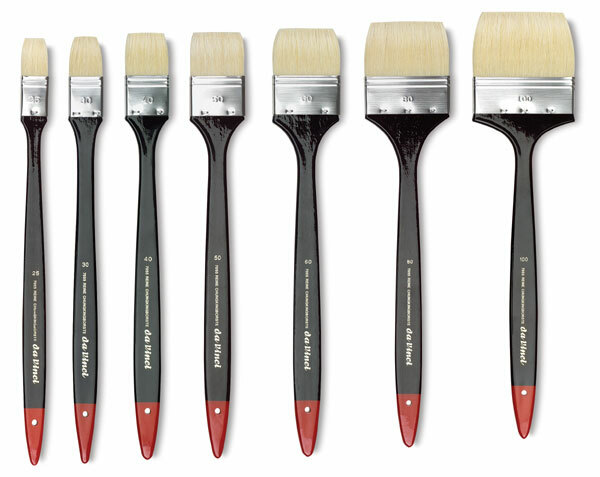 The Da Vinci Maestro 2 Hog Bristle Spalter brush has sturdy Chinese Chungking bristles set in a rust-proof steel ferrule. The black-red polished flat handle is over 12" long, making it easy to grip for quick gesture strokes on large scale work. Use with oil or acrylic paint. 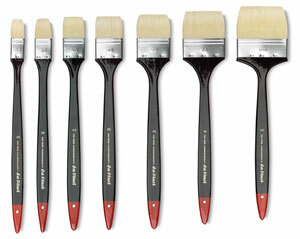 Good for mural painting, gesso work, easel painting, and many other applications.